Written and directed by Leandro Hassum, the show runs in Portuguese and takes a curious approach on little facts of life, giving an exaggerated vision for moments considered simple, that people usually don’t stop to analyze. 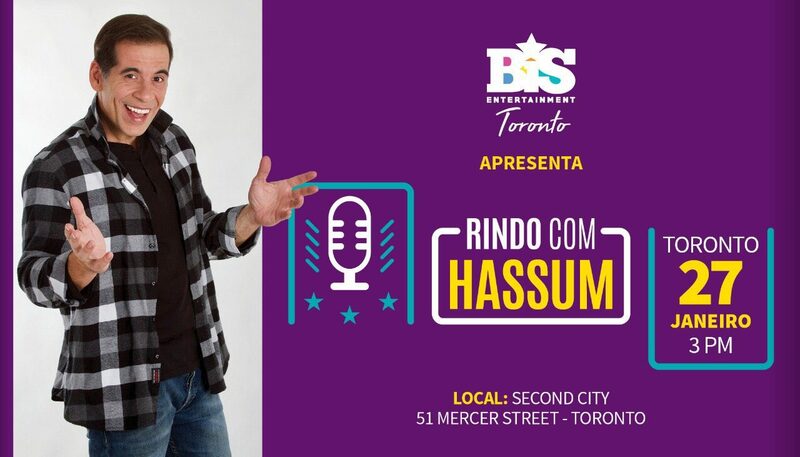 “Rindo com Hassum” addresses topics such as religion, education, fitness, lifestyle, sexual problems, eating disorders, and talks about the life of the comedian. About Leandro: Considered one of the best Brazilian comedians of all times, Leandro is an actor, known for Till Luck Do Us Part (2012), Till Luck Do Us Part 2 with Jerry Lewis (2013), Os Caras de Pau (2010) and Xuxa and the Mystery of the Little Ugly Princess (2009). He also dubbed the character Gru in the Brazilian versions of Despicable Me.